Grab some fish and chips, sit on the edge of the beach and soak up the views. 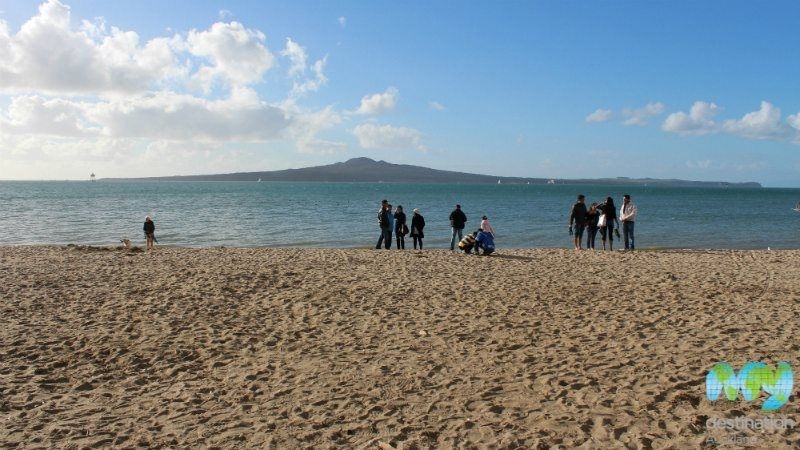 Mission Bay is a popular seaside suburb of Auckland with the beach a focal point of activity. 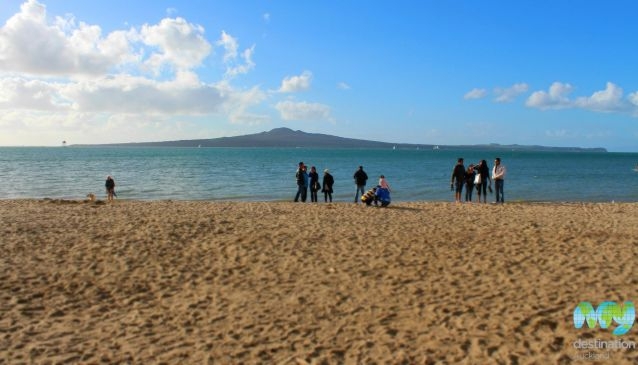 The stretch of golden sand enjoys prominent views of Rangitoto Island. 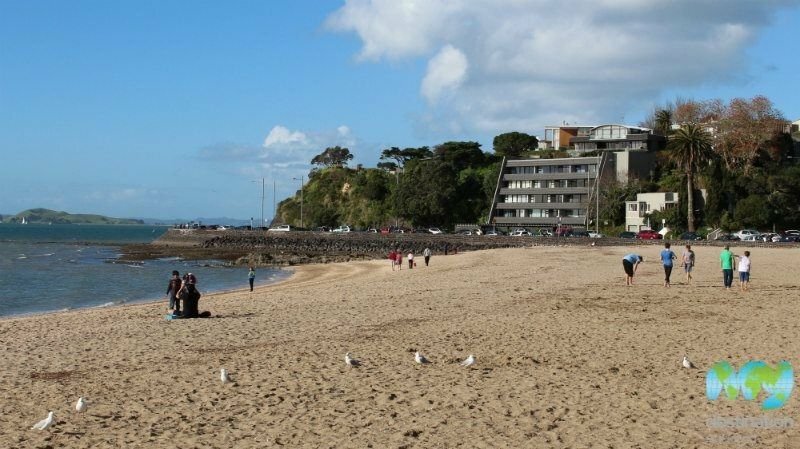 There are plenty of seating areas and picnic tables to attract locals and tourists alike who can enjoy lunch at the beach. The Fish Pot Cafe, situated opposite the beach, is on hand to serve up delicious fish and chips to be enjoyed while taking in the postcard views. Just behind the beach, is Selwyn Domain, a small park area which features a much photographed water fountain that's a favourite with kids. 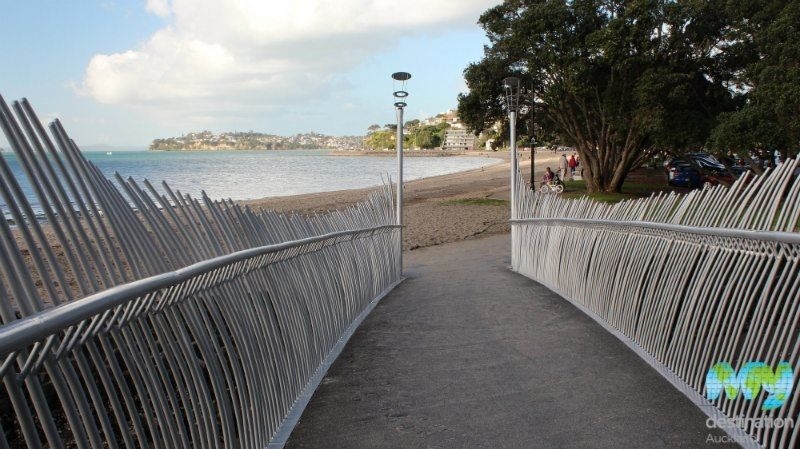 Mission Bay has a thriving cafe and restaurant scene, lining the main through road and overlooking the sea. 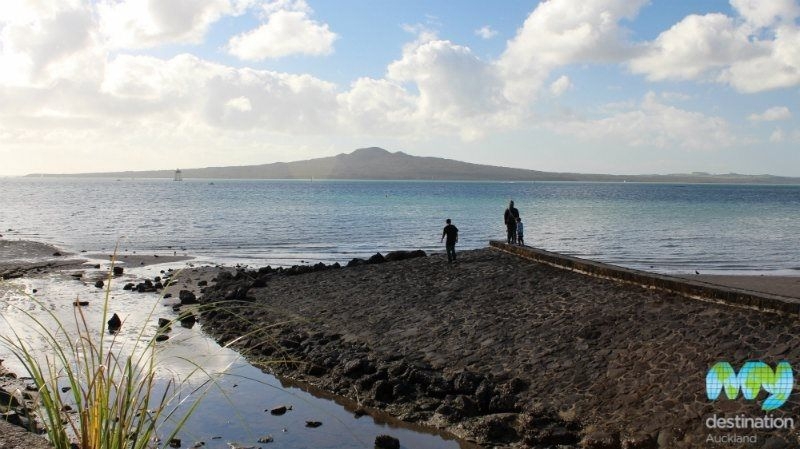 For those that enjoy a walk, it's approximately a 45 minute trek from downtown Auckland and along a pathway that follows the coastline with lovely views of the city and Hauraki Gulf.